In September the first clouds arrive; from October to November are the months of the photographers since the colors are warmer and a clear sky after 2 or 3 with weekly rains in the afternoon. 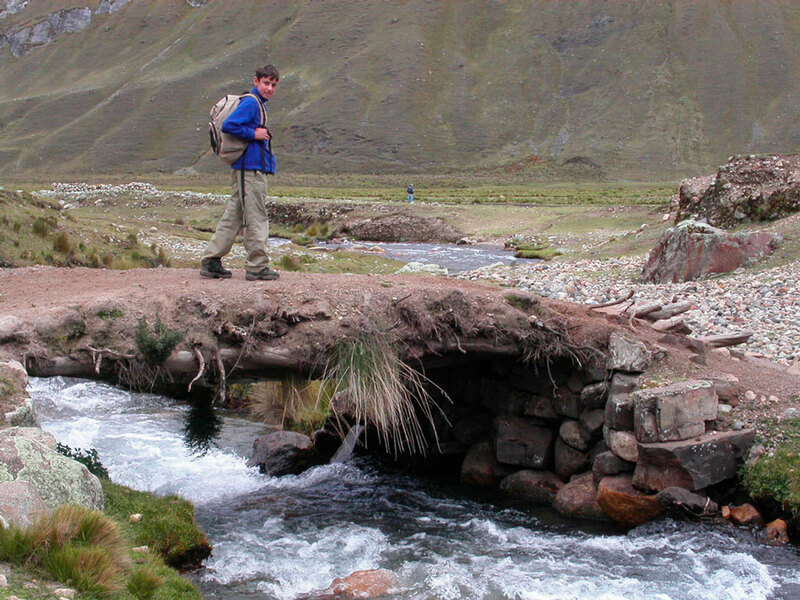 This trek can be done between 4 to 11 days depending on the options you choose. 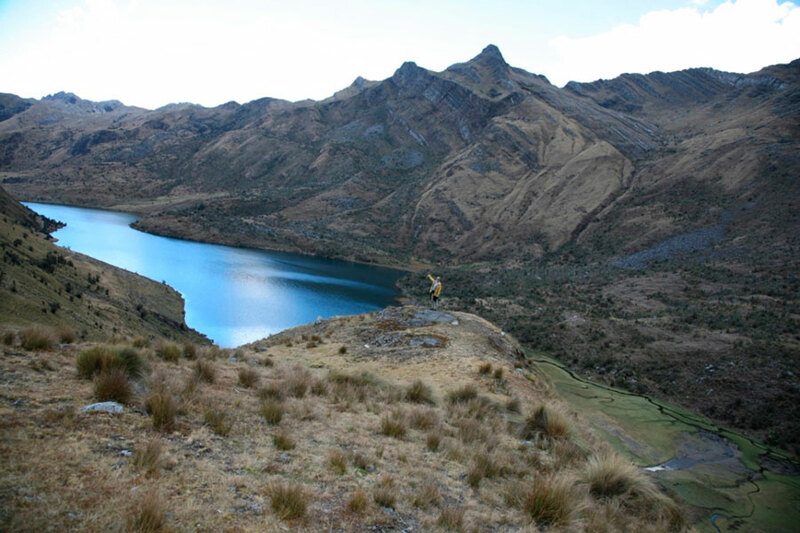 At the end of 2011, a lake at the foot of Artesonraju overflowed and caused a large avalanche in the Santa Cruz Valley, destroying the forests of the quenuales and making Lake Jatuncocha disappear. 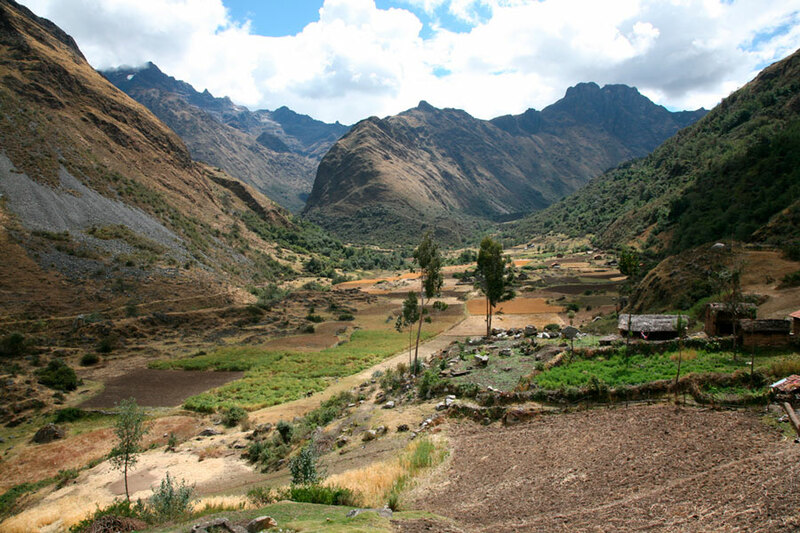 We know that this walk is in all the tourist guides and that, in general, all request information for this walk. 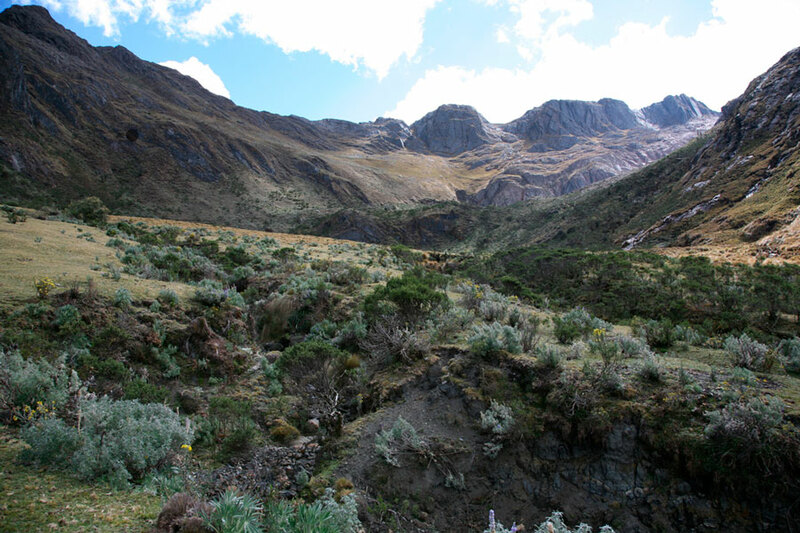 2) It is the most popular trek in the region therefore, there are too many people in each camp and these tend to be dirty. Still, we can operate the Santa Cruz Trek if you insist! 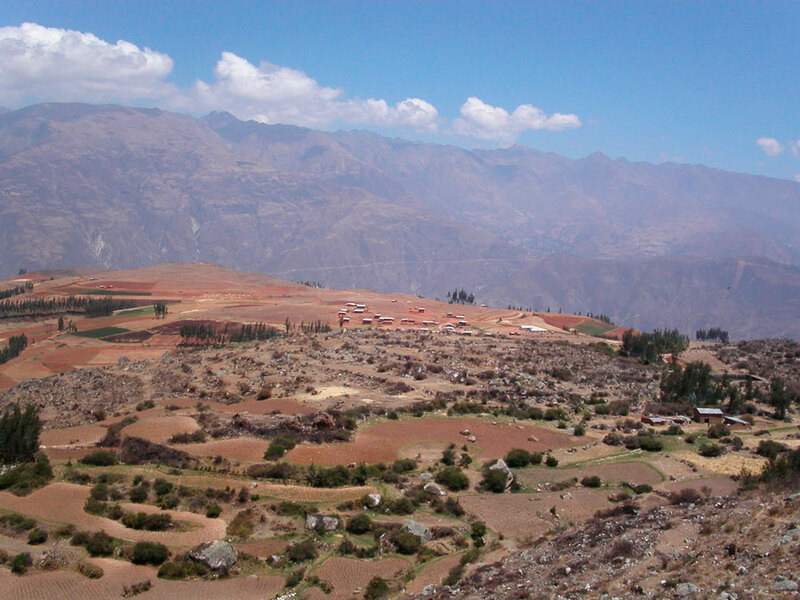 For this walk, it is advisable to have a very good acclimatization (we recommend 3 days). 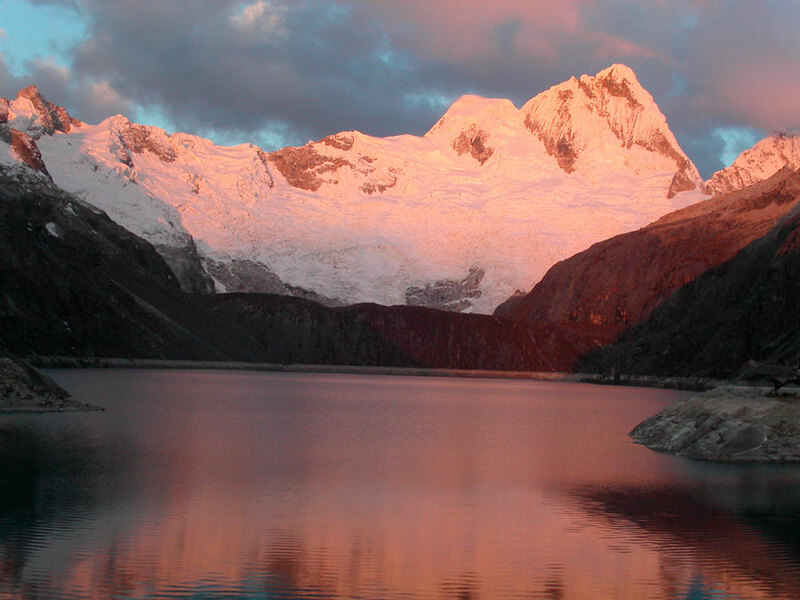 You will pass by Portachuelo where you will have a magnificent view of the Cordillera Blanca. You will only walk a couple of hours today. 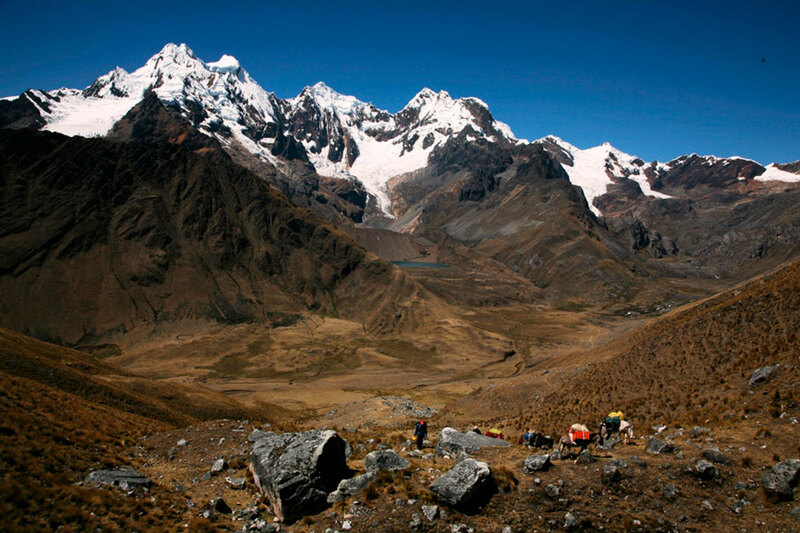 Camp, overnight in tents, meals included. 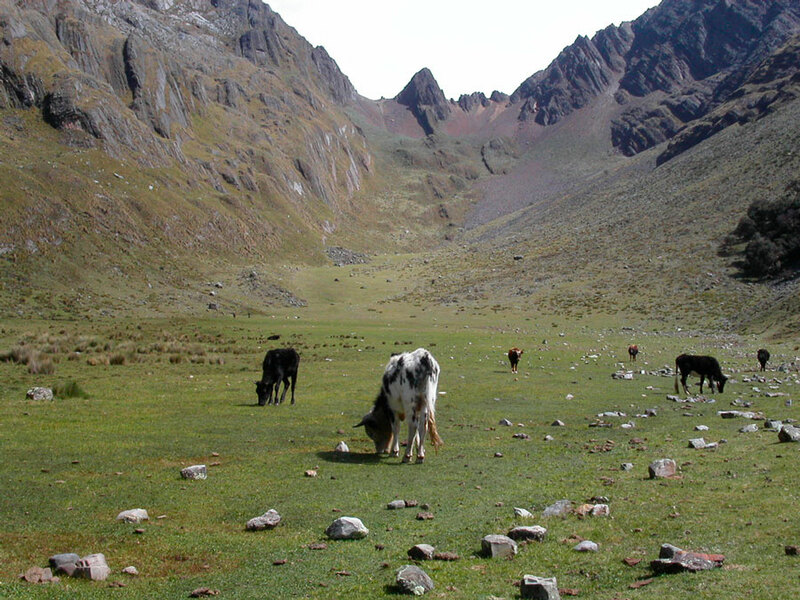 Second step: Alta de Pucaraju at 4650 masl. 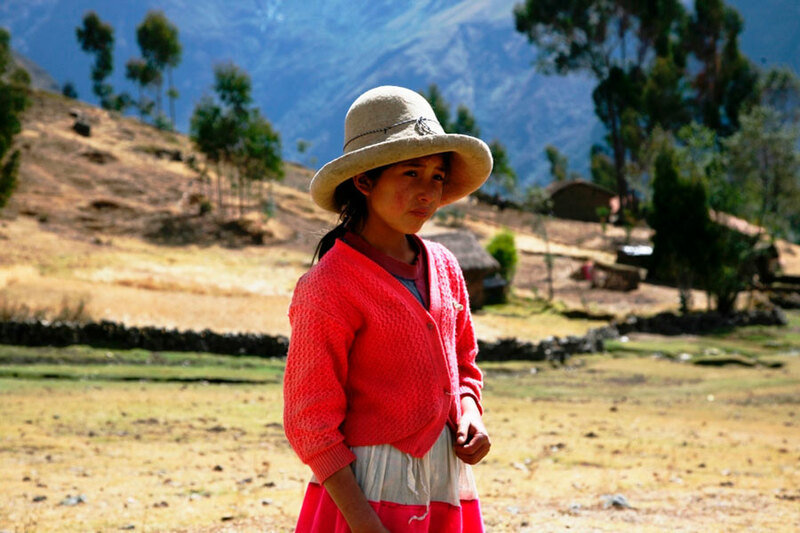 Third step: Tupa Tupa at 4360 masl. Fourth step: Today, we will cross the water separation line between the Amazon Basin and the Pacific Basin. 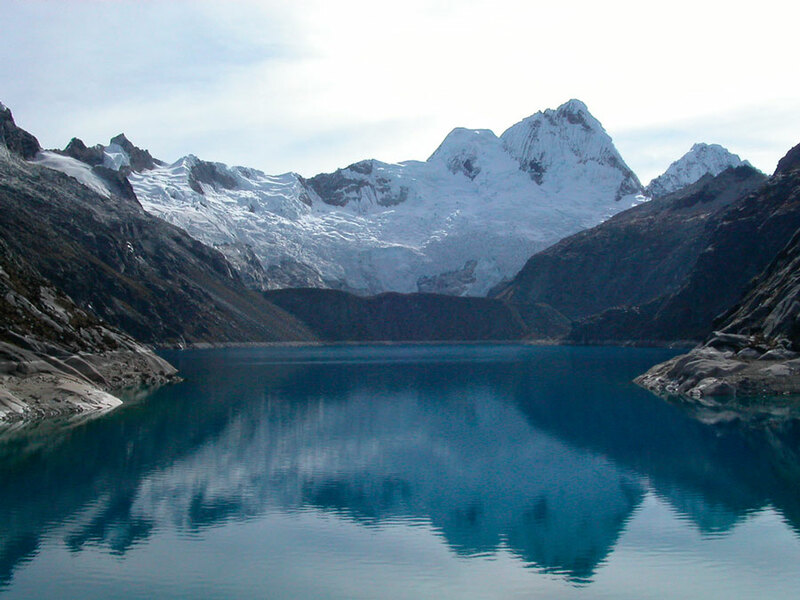 As we pass, we will see the beautiful Lake Sactaycocha. 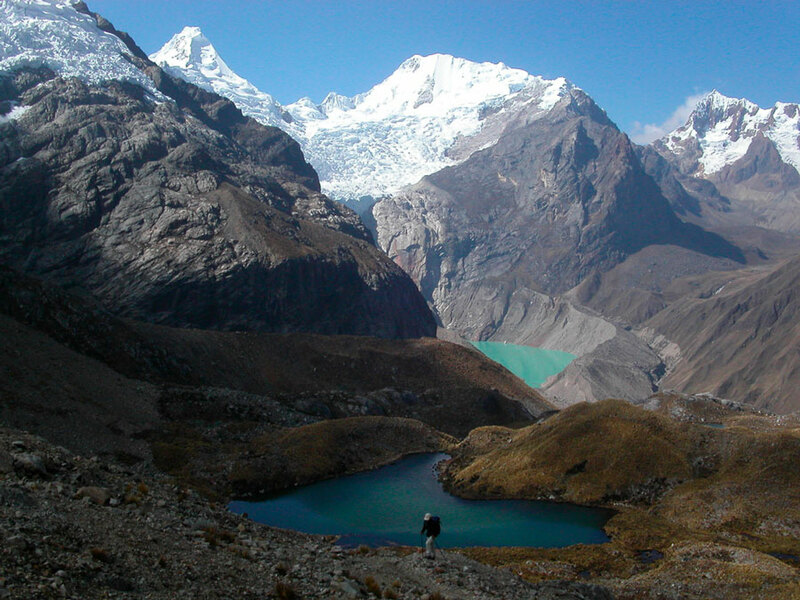 The bravest can go to Lake Pucacocha (4512msnm. ), The others will stay around Lake Safuna. 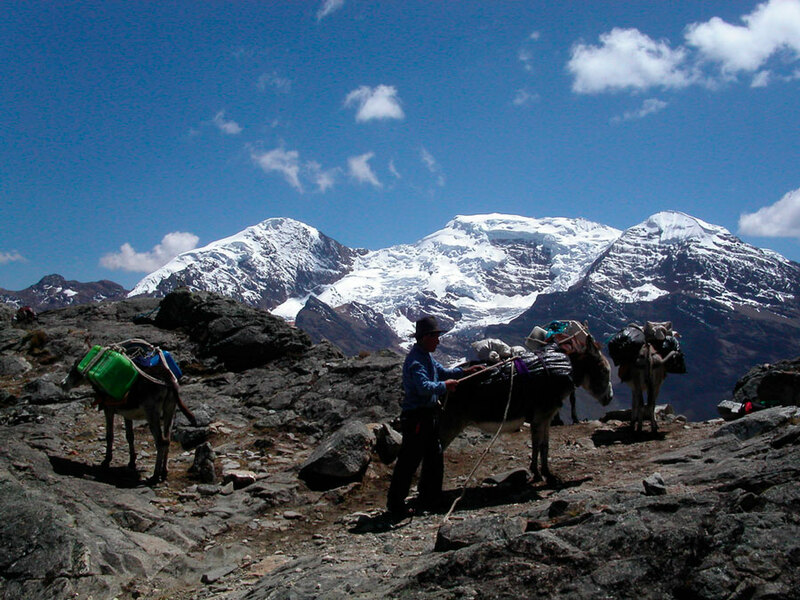 Fifth step: Gara Gara (4830 masl), we will discover the splendid pyramid of Alpamayo (5947 masl). Small walks to enjoy the landscape and rest. 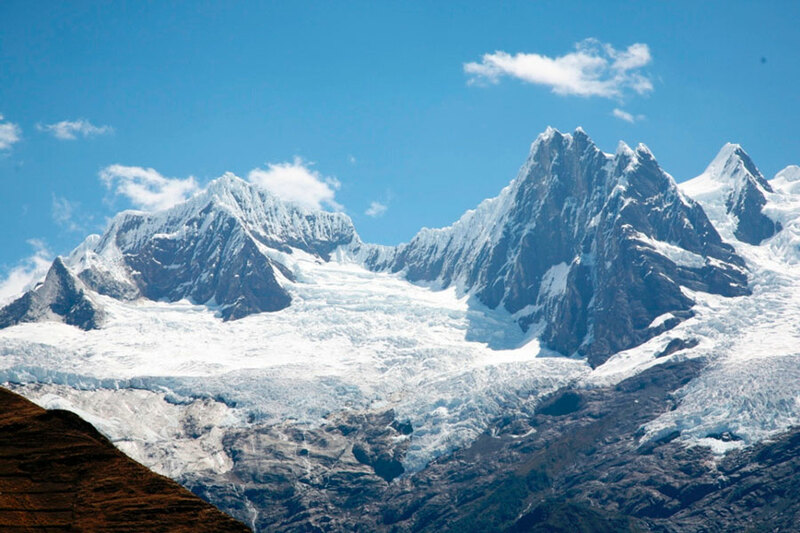 Those who prefer a good walk, can climb the glacier of Santa Cruz (6259 msnm.) 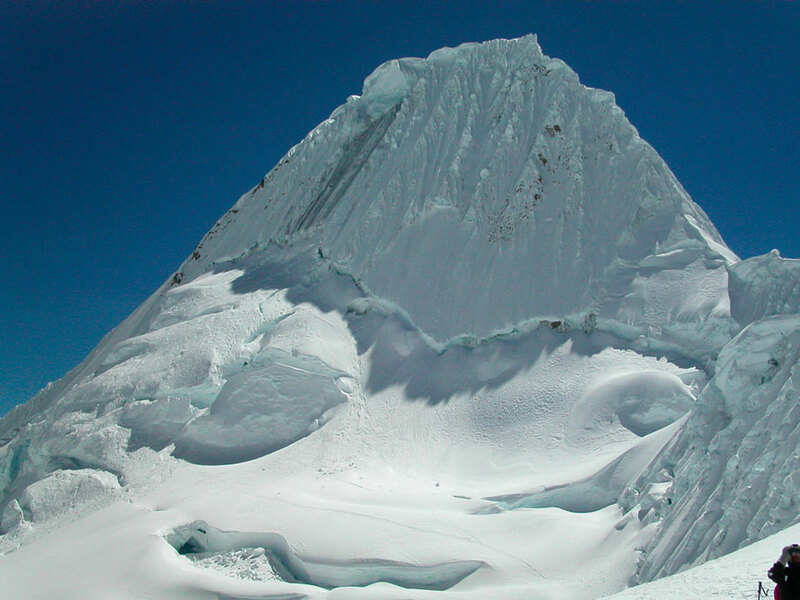 To have another perspective of Alpamayo. 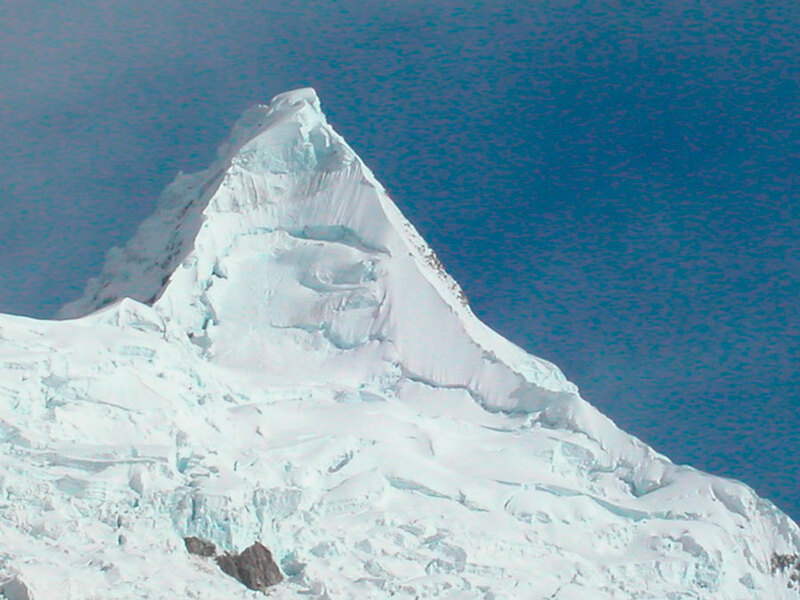 Sixth step: Vientunan of 4750 meters above sea level. 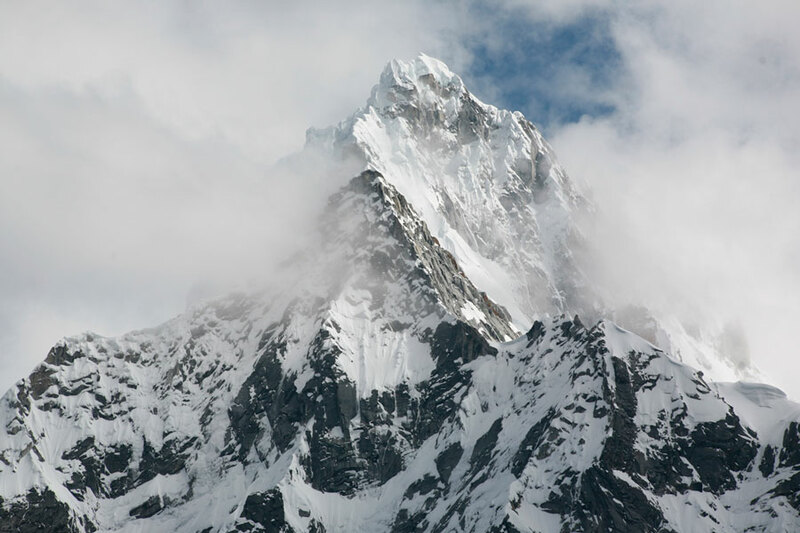 and seventh step of 4850 masl. with beautiful view of Santa Cruz. 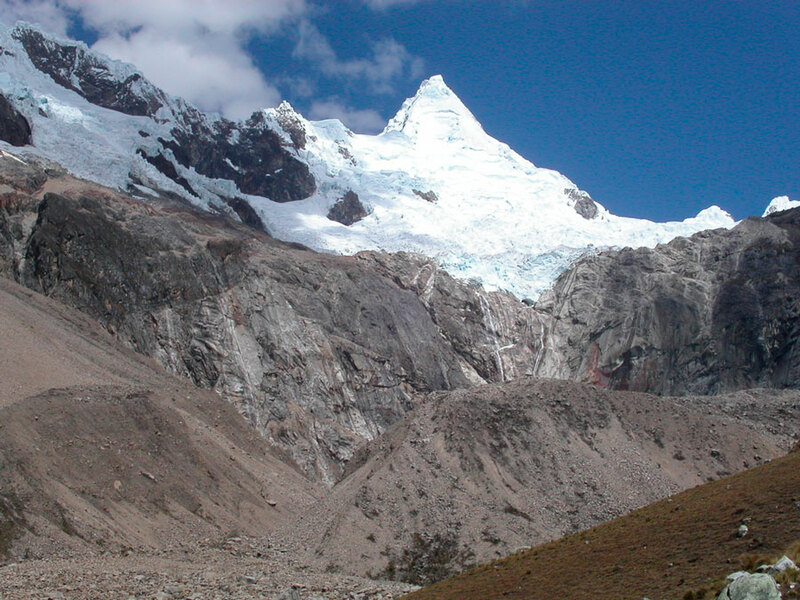 You will pass through Portachuelo de Llanganuco where you will have a magnificent view of the Cordillera Blanca. 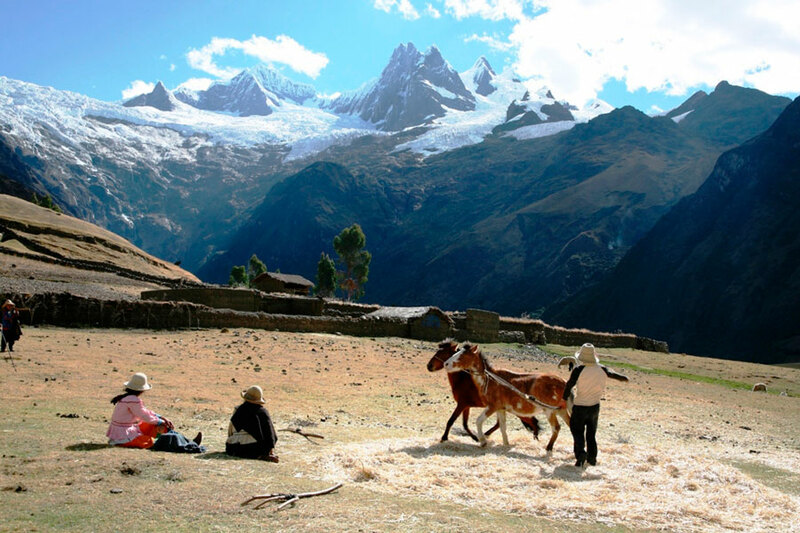 You will walk only a couple of hours today to take the transport to Huaraz.